No matter how you define your family, we want to reward you. Combining your FRONTIER Milessm as a group makes earning award flights easier and faster. Start pooling your miles today! Family Pooling is a way for a group of up to 8 people to share their FRONTIER Miles. HOW YOU DEFINE YOUR FAMILY IS UP TO YOU! You can add up to 8 different members to your Family Pool: friends, coworkers, roommates and even grandma. Whoever you consider family can be a part of your Family Pool. WHO'S IN CHARGE OF THE POOL? The head of the pool is the keeper of the miles. Each Family Pool has a "head" that has the power to redeem the miles for award flights. THERE'S NO MINIMUMS, MAXIMUMS OR HIDDEN FEES. Say goodbye to unusable buckets of few miles. That's because whether you have 100 miles to add or 100,000, there is no limit to how many can be added and used by the pool! And when it's time to redeem those miles, there are no hidden transaction fees or surprises. FAMILY POOLING IS AS EASY AS 1-2-3. Keeping things simple is what we do. Same goes for how Family Pooling works. 1 - The eligible FRONTIER Miles member opens the family pool and becomes the "head". 2 - The head of the pool can invite up to 8 friends & family members to join and share their FRONTIER Miles. 3 - Once your pool has enough FRONTIER Miles, the head can redeem them for an award flight! Family Pooling is easy! There's two simple ways to activate this benefit. Once you reach Elite 20k, you are automatically eligible for Family Pooling. Learn more about our Elite Status and the other benefits it gives you. 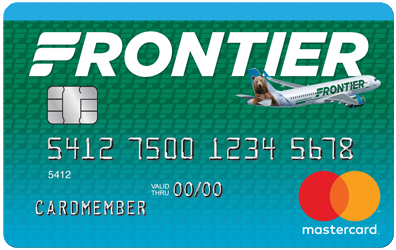 FRONTIER Airlines World MasterCard® holders are automatically eligible. Apply for the card today and start pooling right away! PUTTING FAMILY IN THE PILOT'S SEAT. We're always looking for new ways to make family travel even better. Family Pooling is just one more way we're making your Frontier experience easier and more rewarding. Start pooling today and start exploring more tomorrow! Check out our Family Pooling Frequently Asked Questions page or our Terms and Conditions.